Pictured: Stephen Gough and Zoe Davies accepting the award from GCBEA President Ian Cousins. This award is a result of an ongoing commitment to provide unparalleled innovation in machinery attachment designs with a strong commitment to customer success. Digga’s growth is evident in its focus to provide customers with the right tools to successfully drive their businesses. Digga is Australia’s largest manufacturer of machinery attachments for earthmoving machinery. Attachments turn machines such as skid steers loaders and excavators into multi-purpose machines used for drilling, trenching, sweeping, forestry, and many other applications. Manufacturing a product range of over 70 different types of machinery attachments, Digga’s products are sold in over 60 countries through 450 dealers and distributors worldwide. Digga are the global leader in planetary gearbox design & manufacturing producing gearboxes that are used in industries such as earthmoving, mining, and recycling. Digga employ over 200 staff and operates 5 facilities around the world with its head office and main manufacturing facility based on the Gold Coast. The 12,500sqm purpose built factory features one of the largest machine shops in Queensland which supplies the majority of the componentry used by the other facilities. Over the past 12 months the company has continued to innovative, releasing several new products and winning major international contracts for product supply to South Korea, the USA, and Russia. With positive growth internationally and the imminent release of other exciting new products, Digga is well positioned for rapid growth through the remainder of 2014 and 2015. 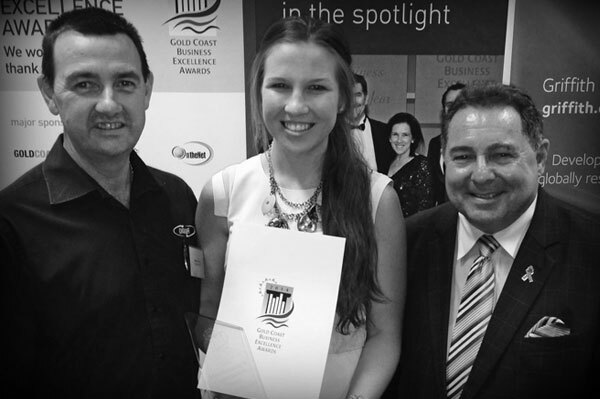 To view the results of the Gold Coast Business Excellence awards for 2014, please click here.